Jingdezhen, a small city in Jiangxi Province, has been the heart of China’s ceramics and clayware industry since Han Dynasty. Young ceramic artists from all over China as well as overseas gather here to learn the skills, communicate and promote their artworks, forming a unique creative culture. 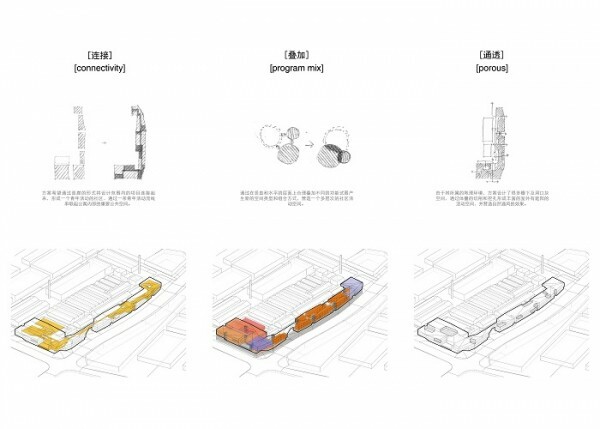 Jingdezhen Youth Center is a site-specific solution, which combines youth apartments with various public spaces specifically designed for young residents. 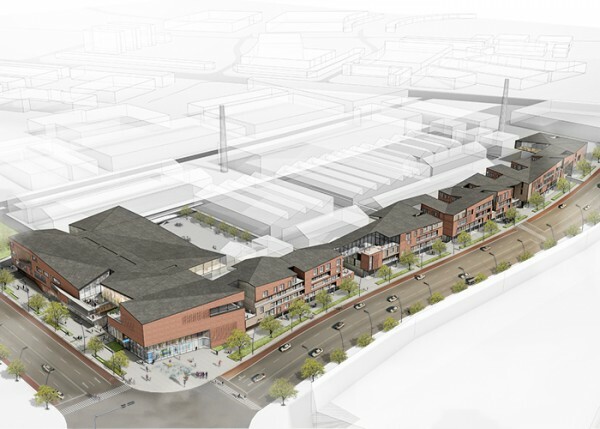 Equipped with a gym, a canteen, a ceramic merchandising center and an auditorium, this mixed-use building complex will become a new hub for both local and visiting artists. Ordinary high density residential buildings usually consist of apartments on both sides of a corridor, maximizing efficiency yet minimizing chances for residents to socialize. We believe that for a young creative neighborhood a better strategy is to weave a series of public spaces with various degrees of openness into our apartments. By developing living units of minimal sizes we manage to expand the space for socializing without losing much capacity. 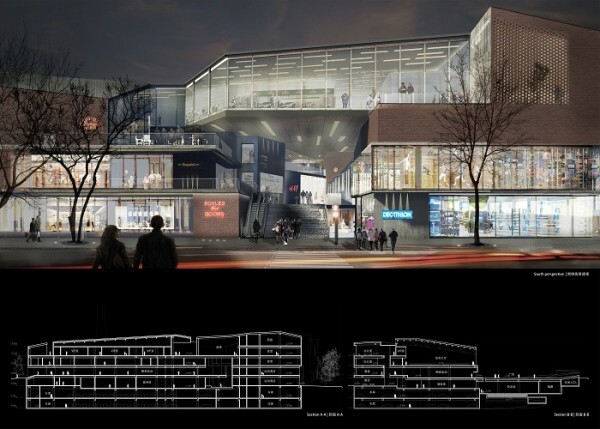 Connectivity, program mixing and porosity are the three main design principles of this project. Connectivity is achieved by introducing a ‘public loop’, which refers to a system of paths that circulate through all our building mass, integrating formal as well as informal public spaces. 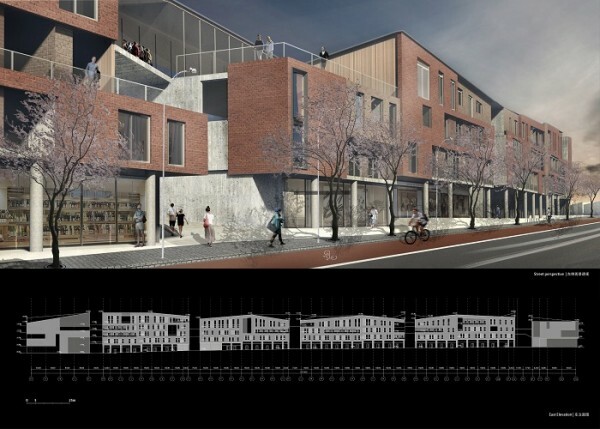 By overlapping different programs horizontally and vertically, our proposal seeks for new typologies where residents enjoy a multi-layered yet united community. 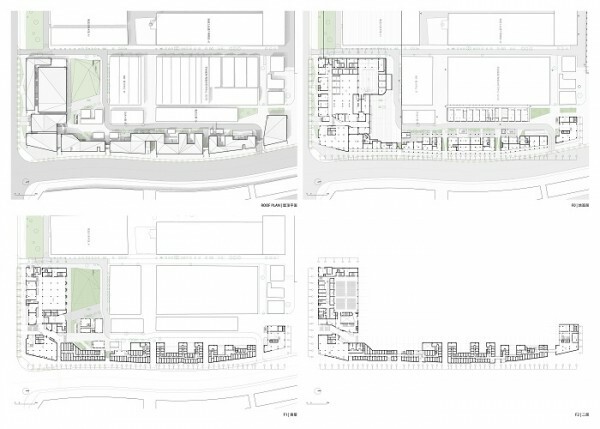 Porosity is our adaptation to local climate – by carving into our building massing we achieve a self-shading effect with passive ventilation and create various sheltered grey spaces.